When you’re ready to actually get some cleaning done – to apply dust cloth to vase and mop to floor – a few simple guidelines will ensure that your working efficiently.Avoid distractions. Don’t get sidetracked by lugging Tommy’s skates to his wardrobe or stray socks to the laundry room.Work your way around the room in an orderly progression. Zipping from one side of the room to another again and again will waste a lot of footworkTake all your cleaning tools with you waste time when your perpetually stopping your work to get more tools from the cupboard. Besides, when you work without all the tools you’ll need, you get tempted to skip tasks that need attention.Here’s how to apply those principles as you go about your regular house cleaning for both general living areas, like living rooms and bedrooms, and those two notorious hotspots, kitchens and bathrooms. The key to cleaning a room fast and efficiently is staying in the room until the cleaning is done. One way to accomplish that is by using utility cart that you can purchase at any DIY store. Like professional cleaners in hotels or offices who cart this around from room to room as the clean. The top of the cart holds a tray with cleaning supplies and cloths. Our refuse bag hangs from one side of the cart. Second back hangs on the other side of the cart to carry misplaced articles picked up from the room.Here’s how we recommend you work a room: wheel the cart in. Remove the caddy of cleaning supplies and place all the soiled laundry in the cart. Put all the rubbish from the room in the refuse bag attached to the cart. Any misplaced items that do not belong in the room should be placed in the second bag. Now clean the room, working your way around the room in a circular fashion. As a general rule, start at the top and work your way down. 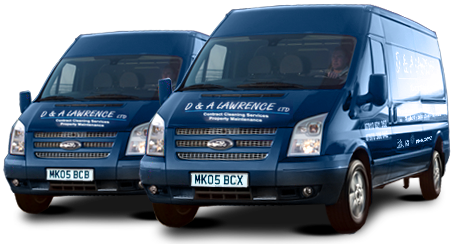 The floors should be the last thing you do.D & A Lawrence are national cleaning contractors based in Edinburgh.